Kathy Coopmans & Hilary Storm's "Fire" is the second tale in the Elite Forces series. Kaleb has been captured by the enemy and is blindfolded and taken elsewhere where he is caged like an animal. Jade fights her team to get back to Kaleb, but they won't let her go back until the prisoner is secured and they can find out where they took Kaleb. Can Harris make sure Jade doesn't do anything stupid? Who has Kaleb? What happens when someone from Kaleb's past is involved? Can Jade and the team save Kaleb? Find out this and more in this crazy, action packed read!!! 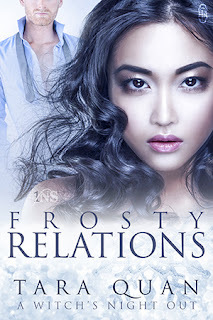 Kathy Coopmans & Hilary Storm's "Ice" is the first tale in the Elite Forces series. Captain Jade Elliot is the first woman to complete Army Ranger sniper school. She's on her first assignment in the special forces. Her and the team she's with are waiting for their new commander to show up to their make-shift base. What Commander Kaleb Maverick finds when he gets to his new temporary command makes his blood boil. He breaks up what's going on and makes it to his advantage to get what he wants. From the first moment he laid eyes on the files of his temporary team he's wanted Jade. Can he get her? Will they get their mission done? Can they work together? Can Jade handle what she does on the mission? Find out this and more in this awesome read!!! !